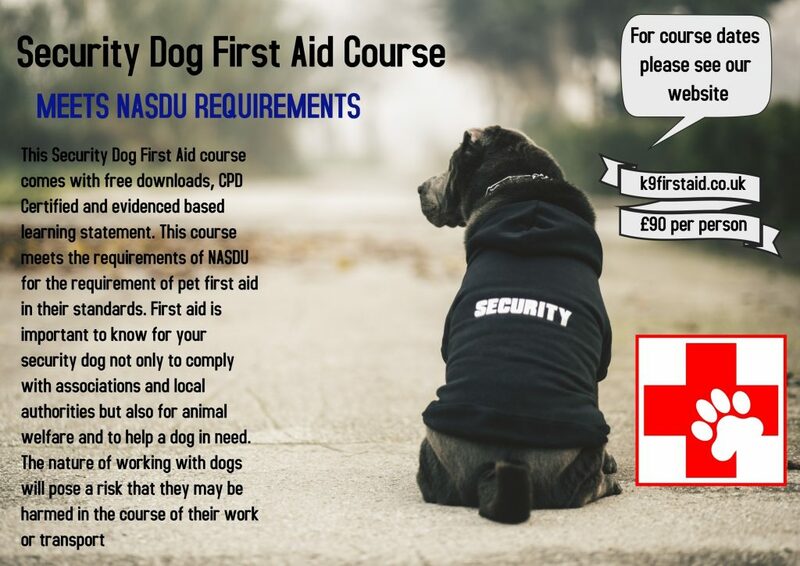 This Security Dog First Aid course is approved by NASDU for the requirement of pet first aid in their standards. First aid is important to know for your security dog not only to comply with associations and local authorities but also for animal welfare and to help a dog in need. The nature of working with dogs will pose a risk that they may be harmed in the course of their work or transport. LO4 Explain the actions to be taken following a dog that is bleeding form a wound. LO6 Explain the actions to be taken following ingestion of a foreign body by a dog.